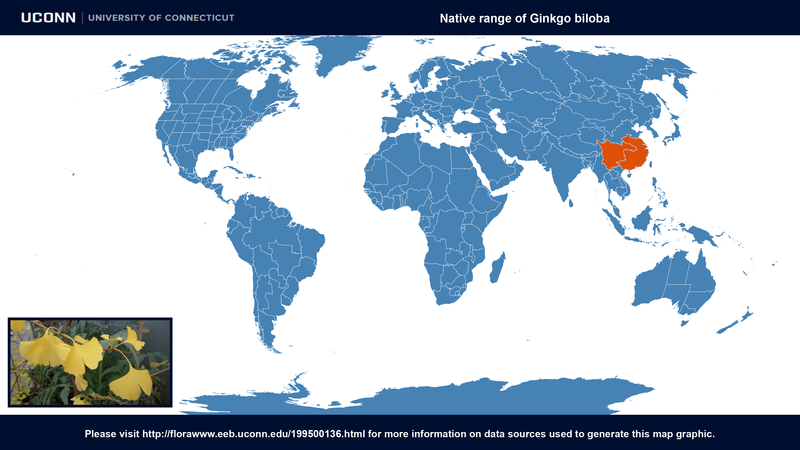 Description: The ginkgo grows at least 80 ft (24 m) tall, upright when young and eventually spreading to 30 ft (9 m) or more. 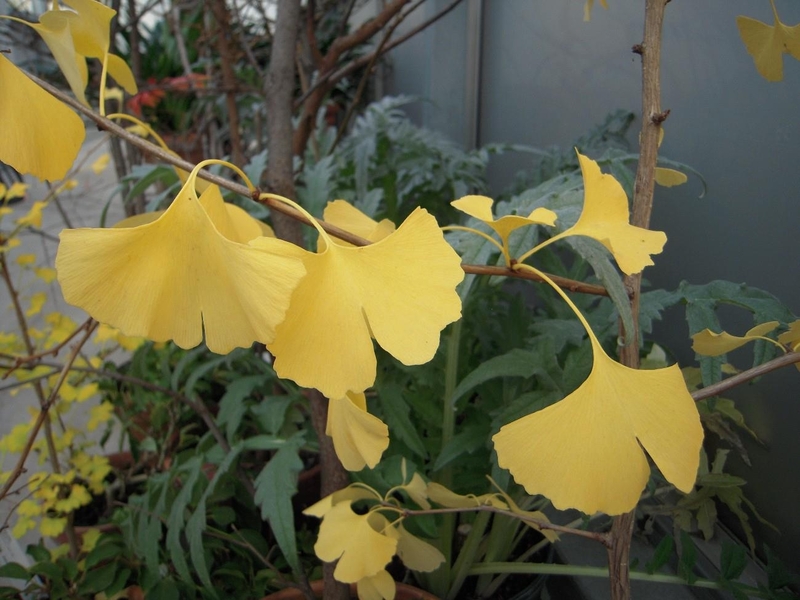 Deciduous, the 4 in (10 cm) long, matt green, fan-shaped leaves turn golden yellow in fall (autumn). A fleshy, plum-like orange-brown fruit with an edible kernel appears in late summer and fall if male and female trees are grown together. 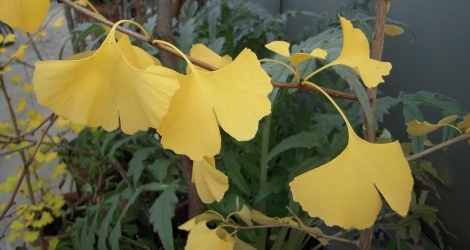 'Fastigiata' is a slender, erect cultivar that reaches 30 ft (9 m). 'Princeton Sentry' has a narrow, upright habit and is male.